Nevertheless, here's the lowdown. 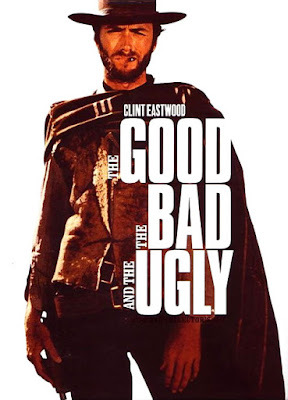 And it is a combination of good, bad and ugly parts so the title is quite fitting. I am into my eleventh month on the chronic Lyme protocol and things are definitely in motion. Truly, this process is akin to peeling an onion. The more layers we peel back; the more we find to deal with. But so it's been through the years. It can be a greatly discouraging process. However, I've been in this for so long now that I've learned how to cope, adjust and pace myself; and my expectations. That isn't to say I'm not hopeful. I am very much and more so because of my faith. It's walking through the process of healing after being sick and debilitated for so many years that's difficult. Believe me when I say you cannot understand unless you've been here. I sincerely pray you never are. Right now, viral co-infections are surfacing again. I say again because I've dealt with many of these for years, not knowing that chronic Lyme disease was underlying all the while (Lyme actually suppresses immune function and opens the door to other infections). Seems this all came in reverse order for me. Regardless, Borrelia (Lyme bacteria), Cytomegalovirus (CMV), Epstein-Barr (EBV) and Rocky Mountain Spotted Fever (A tick bourne bacteria and Lyme co-infection) are the most problematic for me at this point and in that order. I believe the fact that old viral infections are resurfacing is actually a sign that the Lyme treatment is working and very deeply. This physically translates into me not feeling well at all on many days, and some days are just downright bad, but at least it's for the sake of healing. I do feel a deep sense of gratitude to my body for ever working so hard our behalf. As for the viruses, we're treating them with homeopathy, which is one core part of my treatment protocol. Homeopathic Medicine is potent, safe and very effective. And I've found it's the best way to go for me. I say this after having spent several years on multiple drugs with little to no improvement or change except for a nice dose of side effects. Wait. Was that sarcasm coming out of me? I am clearly detoxing. But it's true. In no way am I trying to imply this treatment is a breeze or that I don't have down days. Are you kidding me?!? Despite what some might say, healing from chronic Lyme disease and the co-infections is not easy and it certainly doesn't happen overnight. There really are no words to convey how sick I've been throughout all these years and how it has impacted every facet of my life. Or how trying the many long days, weeks, months and years have been as well. I have often felt Jobesque. Yet, God has been doing something during all this time. Something within me. He still is. Training time in the wilderness on the back side of the mountain. Maybe you're there too. And even though this road is very long and difficult, even though I long for better days, even though I don't always understand, I do have many things to be thankful for. It's bittersweet to say that but true nonetheless. I know whose kept me through it all and He's the source of my hope and perseverance. So I still remain in the throes of healing and recovery but there is some improvement happening overall, albeit slowly but surely. I have had a few better days scattered here and there but none like I did back in the Spring when I had a ten day period that I felt better than I have in a very long time. I'm just now writing about this because in all honesty; I wanted to keep it and savor it for myself. 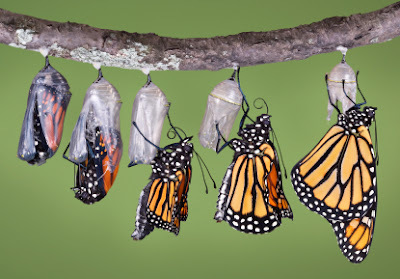 But then I realized I needed to share it to perhaps encourage other Lymies (term of endearment for someone with Lyme Disease) and to say that I believe this speaks of the fact that a transformation of true healing is taking place in my body and better days are to come. Still, this is a much harder place to be than I can tell anyone. It is a fight; a fight to live and reclaim life. A fight to step out of what has tried to destroy me and into that which awaits me; my God-appointed destiny. But isn't this the place where the greatest transformations take place? Where tragedy is turned into triumph? Where heroes emerge? As I end, let me say that I have personally learned true healing encompasses body, soul and spirit. We cannot be fully well physically or spiritually if we still have unresolved emotions or grief. Conversely, whatever happens to us physically certainly flows over and affects us emotionally, mentally and spiritually. Therefore, proper physical diagnosis, treatment and care is necessary to help the whole body heal and recover. And when we are not spiritually connected to our Creator, we aren't fully living. I think Acts 17:28 captures it best, "For in Him we live and move and have our being." And we are triad beings - body, soul and spirit - made in the image of our triune God - God the Father, God the Son and God the Holy Spirit. I believe complete health and wellness comes about when we are well on all three of those levels.